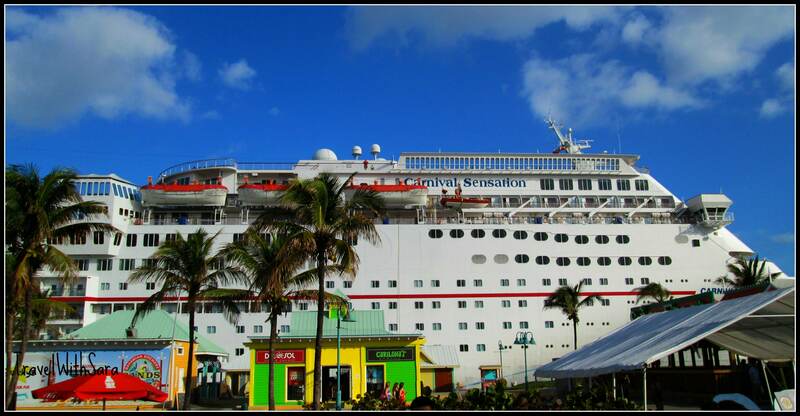 My family and I recently cruised on the Carnival Sensation and we had a dilemma before we boarded. We wondered what our three traveling teenage boys needed to pack. We went into panic mode when we read that there was a night where the dress code was to be Cruise Elegant. There really was no need to panic, but when we first read Cruise Elegant we began to think of suits and ties. And I think it would be fair to say that the traveling teens in our group would have frowned on that attire. I’m hoping to ease your stress level, as you plan a Carnival Cruise with your teenage boys. There were two different dress codes in the assigned dining guest restaurants. The area for assigned dining guests was very nice and I must say that it makes sense to follow the dress codes. If you don’t, you can be turned away at the door. The restaurant dress code for Cruise Elegant states that gym & basketball shorts, t-shirts, beach flip-flops, bathing suit attire, jeans, cut-off jeans, sleeveless shirts for men, and baseball hats are not allowed in the restaurants. Fairly simply put, don’t you think? The restaurant code for Cruise Casual states that gym & basketball shorts, beach flip-flops, bathing suit attire, cut-off jeans, sleeveless shits for men and baseball hats are not allowed in the restaurants. The difference between the two is that on the Cruise Elegant nights jeans are not allowed. I would say that the folks dressed in jeans at anytime in the dining room seemed a little uncomfortable. I would not recommend sending anyone into this beautiful dining area sporting a pair of jeans. So, you are now asking, what should my teenage boy wear while dining in a restaurant on the Carnival Sensation or any other Carnival Cruise? Here’s an example of what worked for our family. A nice pair of khaki or black dress pants with a button down shirt works perfect! If your son refuses to wear a button down shirt, pack a nice polo shirt or a dressy plain t-shirt. Which now leads me to the shoe dilemma. All of our teenage boys did pack, and wear, a pair of black or brown tie dress shoes while dining in the restaurants on the Carnival Sensation. I can honestly say that a dressier pair of tennis shoes would have sufficed. There are several darker colored tennis shoes in the market place today that would work fine. My advice when packing your teenage boys clothing for your cruise on the Carnival Sensation is to pack smart and do pay attention to the dress codes for the restaurants. The whole dining experience is unique and fun! And the most memorable part for your teenage boys will be that they can order more than two of anything- yep, it’s an all you can eat affair! 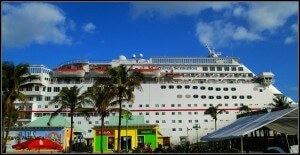 Cruising is truly one of the best values in the market place when it comes to traveling with teenage boys. 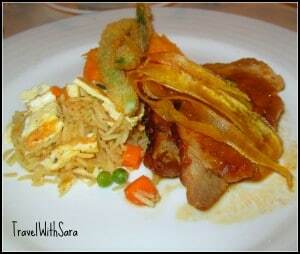 We loved our cruise on the Carnival Sensation and hope to cruise again soon. Don’t forget the sunscreen and walkie talkies. There’s fun for everyone when you cruise. Now you have one less thing to worry about. 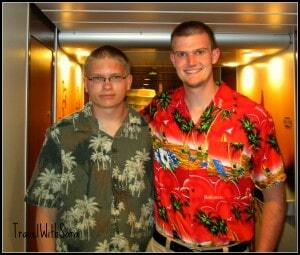 You now know what to pack for your teenage boys as your family packs for a fun Carnival Cruise! 2 Responses to "What To Pack For Your Teenage Boys While Cruising With Carnival Cruiselines"
Your teenagers would love it! Our boys were 22,19,17 and 14. My teenagers have been begging to take a cruise and it does seem like a good value. I’ve only been on one and it was without kids. Maybe we will try one someday!